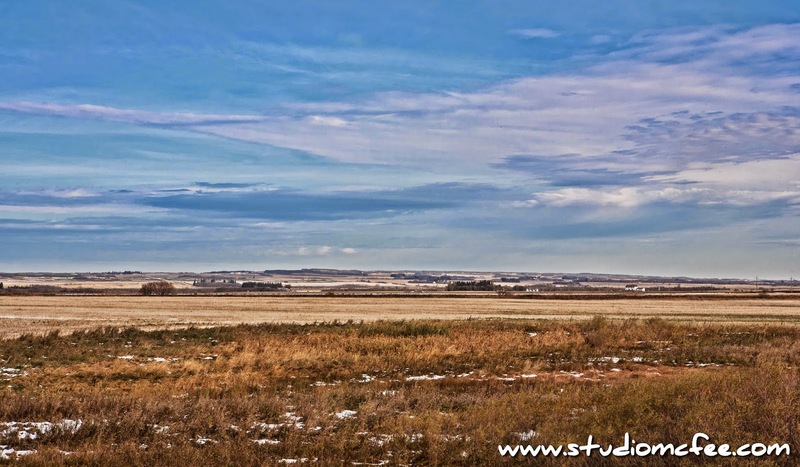 Some parts of Manitoba are flat but north of the Yellowhead Highway, between Minnedosa and Neepewa, the land rolls gently. It feels like you can see for miles. It has an interesting effect upon one's perceptions of the land. I like it.